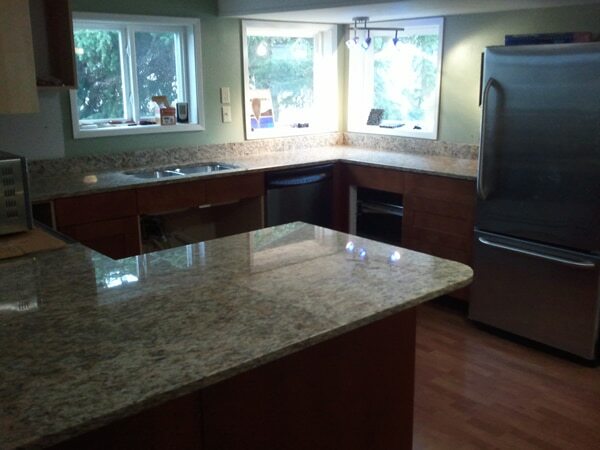 Natural stone countertops, without the right care and maintenance, can become dull and damaged. This is why here at Modern Stone Care, we recommend having your natural stone regularly cleaned, polished and sealed! Whenever you neglect your stone’s normal maintenance you increase your chances of having damaged stone. Damaged stone can sometimes cause permanent repercussions that cannot be reversed no matter how much work you put into bringing it back. The good news is that at Modern Stone Care, we work with natural stone all day every day! We have years of experience reviving damaged stone, restoring its gorgeous exterior! If you have neglected your natural stone and are looking to bring it back to life, call the stone experts at Modern Stone Care today! The best plan is always preventive care and regular maintenance. If you keep your stone well maintained you will be able to preserve your investment. Well maintained natural stone can actually outlive you! Think about how many great and ancient monument were created from natural stone. The Washington Monument in Washington D.C. is made almost entirely of granite and the pyramids at Giza were created out of limestone that was then surrounded by a layer of granite. There is a reason for this! Even those to keep these stones looking gorgeous and vibrant, they must be well maintained, they are strong and resilient materials! Whatever condition your natural stone countertops are in, Modern Stone Care is your one stop spot for excellent care and maintenance. Do not be fooled into working with a company who works with every type of material, thinking you are getting the best care for your natural stone. Modern Stone Care specifically cares for natural stone, meaning we know all the sensitivities and vulnerabilities for your materials! Whenever you need to have your stone cleaned, polished, or sealed, contact Natural Stone Care!